24 pack of small tack sponges. Tack Sponges is rated 4.8 out of 5 by 130. Rated 5 out of 5 by MTS1 from Really handy! Work great and rinse easily. I will never go back to using an old sock! Rated 4 out of 5 by kcdressage from Very nice sponges for the price! Nice size, good quality and you don't mind giving a few away to friends at this price. Rated 5 out of 5 by Jo50 from Great gift These sponges were purchased for a welcome gift for a horse show. Rated 5 out of 5 by dukie68 from Love them! I just received and used to clean my headstalls and rear cinches. They are just the right size and so easy to use! Rated 5 out of 5 by Ineedawhiskey from Seriously, can you ever go wrong with a classic? I’ve been using a twelve-pack of these exact sponges to clean and oil tack as long as I can remember and they are always the best! Small enough to get into those small, detail areas of your tack; yet large enough to make quick work of your saddle. They are priced right and I can have separate Spain fed for cleaner, oil, & stain without breaking the bank. It would be nice if the pack came in two or three colors (or shapes - round & square) so I could tell oil from cleaner or balm without having to sniff. Otherwise, perfect! Rated 5 out of 5 by Alexa123 from Great sponges! Works great! Easy to use and works great with saddle soap! 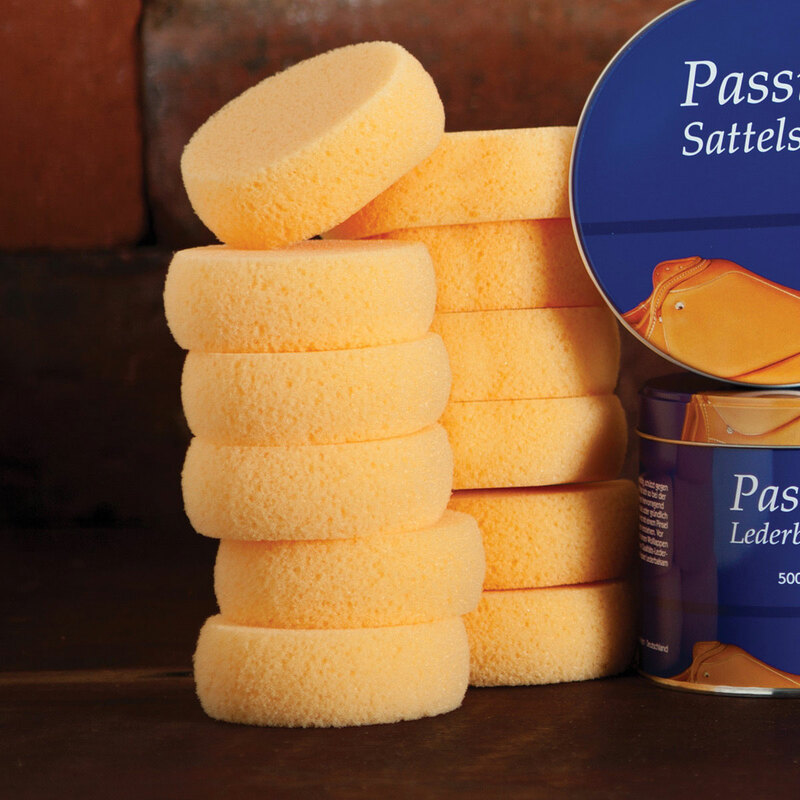 Rated 5 out of 5 by HafDressage from Excellent sponges at an exceptional price! These are really nice quality sponges and their price is so much less than other place. TSC wants 10 for the same pack. Definitely recommend. Rated 4 out of 5 by Spnx from nice product at a good sale price These sponges are just dandy. Good value, bought on sale. Rated 5 out of 5 by cmarks815 from Great sponges These sponges are my go-to for tack cleaning. They last a long time and get tack very clean. Rated 5 out of 5 by kla0006 from Great Value Love these. There are a good size and firmness. They seem to be holding up well.